We recently brought home two new rams, Mick and Prince. These woolly gents came to us by way of Kate Collins, who does the sheep dog demos at Drumlin Farm’s annual Woolapalooza celebration in March. Drumlin staff prepared for their arrival by building a little shade shelter out of recycled materials behind the red barn and setting up an electric fence that extends from the equine pasture to the maple grove. 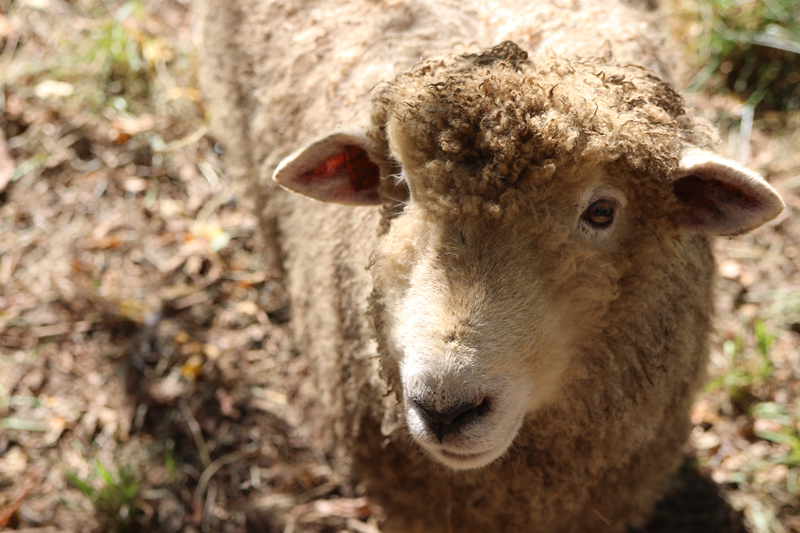 Over the weekend, 10 ewes joined Prince in the Maple Grove and five were brought to the equine pasture to accompany Mick. By Sunday night all were settled in. Breeding season has begun! If all goes to schedule we’ll have new lambs in late March. This entry was posted in Animals and tagged drumlin farm, lambs, livestock, rams on October 16, 2017 by Heather. If you’ve ever ventured down to Boyce Field, home of Drumlin’s crops operation, then you know the beauty of the place. As far as the eye can see are rows and rows of vegetable plants. (Maybe I’m biased as a farm educator, but to me there is no better sight!) However, beyond affording a beautiful view, Boyce Field serves the equally important but lesser known role of classroom for our many visitors, students, and campers. As an outdoor learning space, Boyce Field is a dynamic place where our school program participants experience hands-on learning that’s connected to classroom curriculum and science standards. 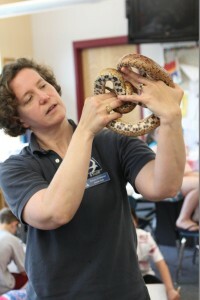 When schools sign up for field trips, teachers often give us information about the concepts they are studying, where they are in their unit, and the main curriculum connections they hope to make. With this information, we’re able to assign students a chore that’s not only tied to classroom learning but is also meaningful work. 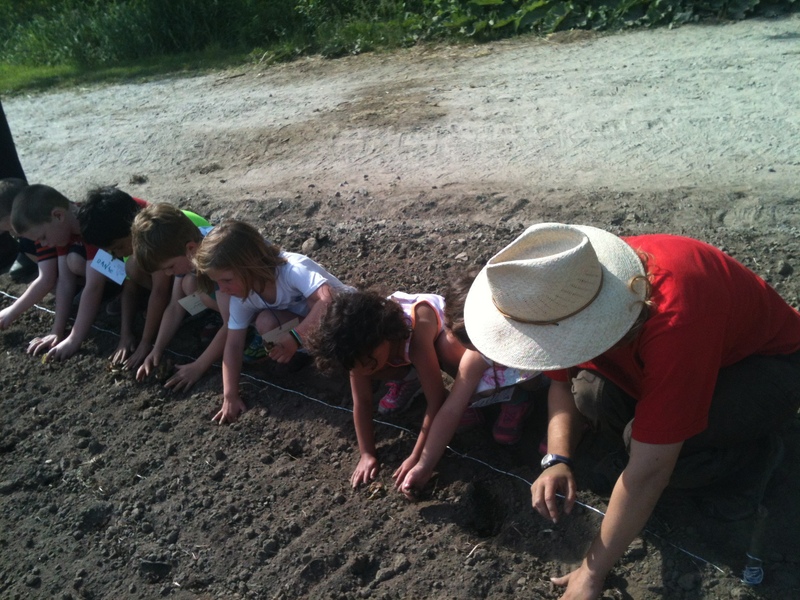 This past May, students learned about plant lifecycles while helping to de-bud first-year strawberry plants. (In order to encourage healthy growth in newly panted strawberries, we don’t harvest fruit; instead we remove their blossoms so they will not produce fruit.) Before we began, we reviewed the phases of the plant life cycle and how pulling flowers off of the young plants allows them invest their energy into growing strong roots and leaves, so that next year we can harvest delicious fruit from healthy, hearty crops. 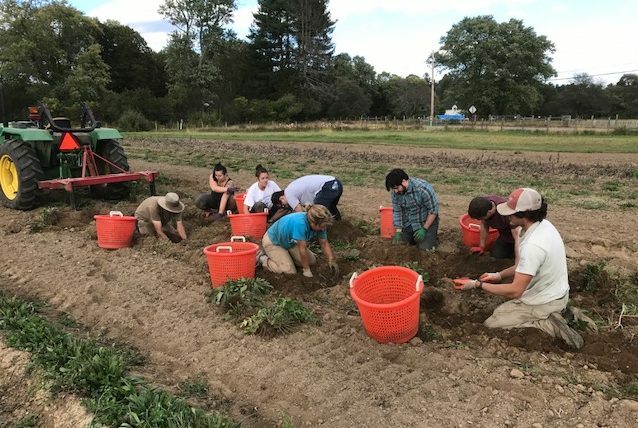 Students were able to observe strawberry plants that were in their second season, which were noticeably fuller and heavy with strawberries, and make the connection that the work they did will have a long-term positive impact on the plants and our farm. 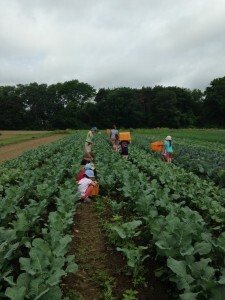 Of course the learning doesn’t stop at the end of the school year: In the summer, campers have the opportunity to delve into the crops operation at the busiest and most exciting time of the season. 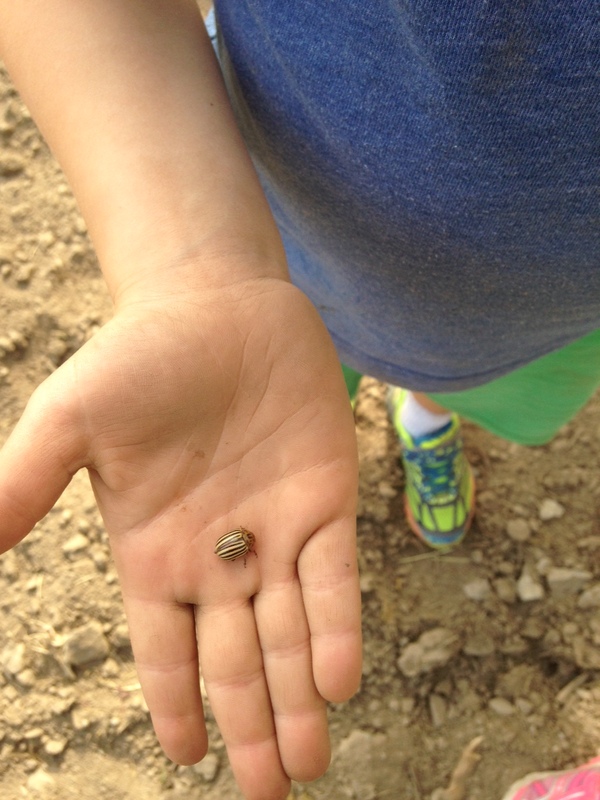 Recently, one group of campers, whose session focused on sustainable farming, spent an afternoon learning about and practicing sustainable pest control, picking Colorado potato beetles off of potato plants. 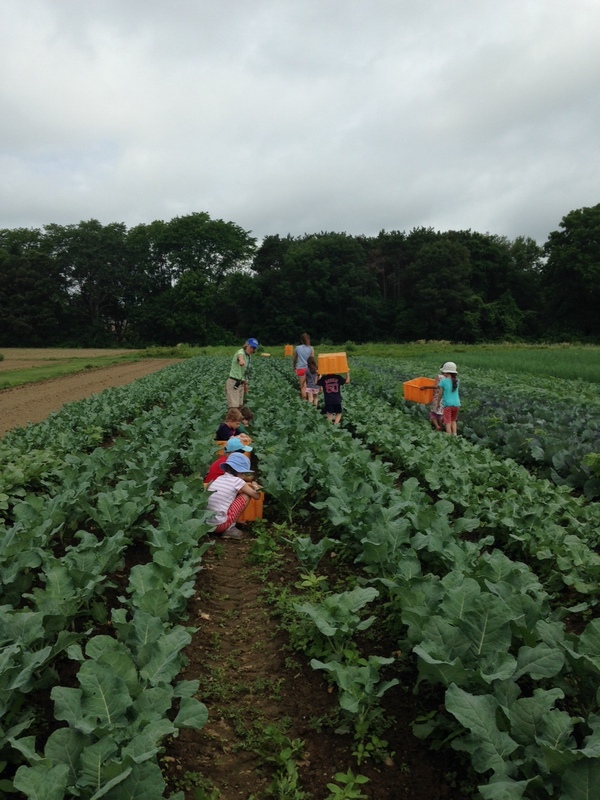 As we went, campers were asked to think about how the practices we use at Drumlin are different from some other farms, where chemical pesticides are sprayed, and the environmental impacts of both methods. 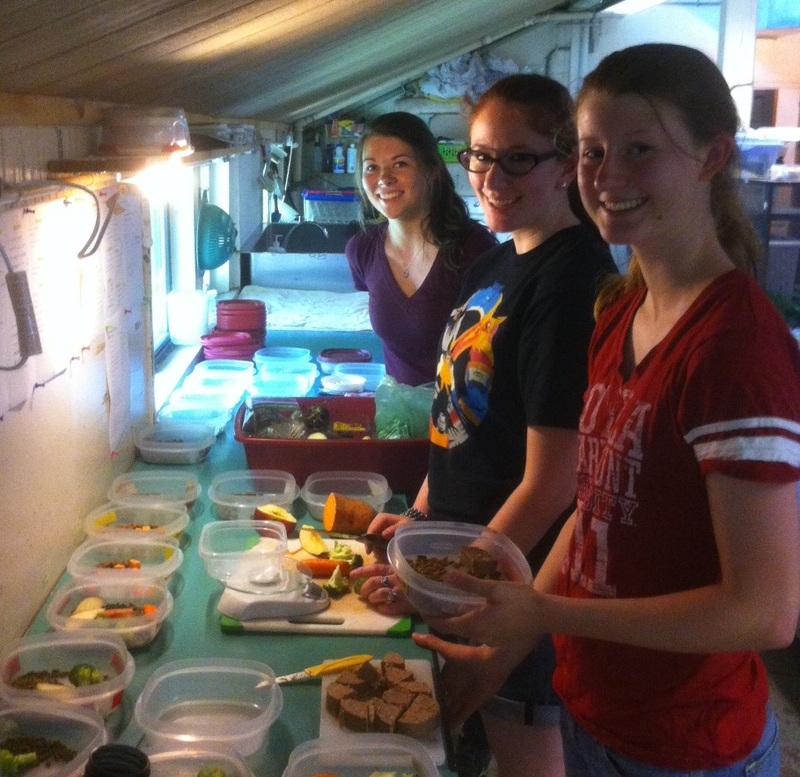 The afternoon flew by as campers explored issues related to our food system. An added bonus: All this learning happens to be a big help to our crops operation! 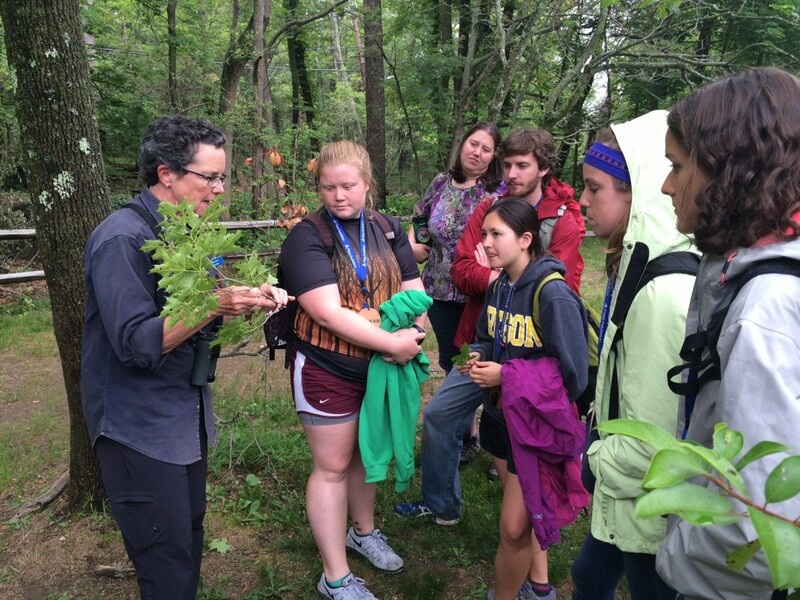 So far this season, program participants have contributed 65 hours of meaningful work, all while engaging in scientific learning in ways they never could have in an indoor classroom. 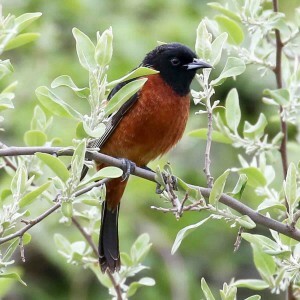 This entry was posted in Education, Farming and tagged camp, classroom, education, farming, learning, school, science, sustainable on July 16, 2015 by Heather. 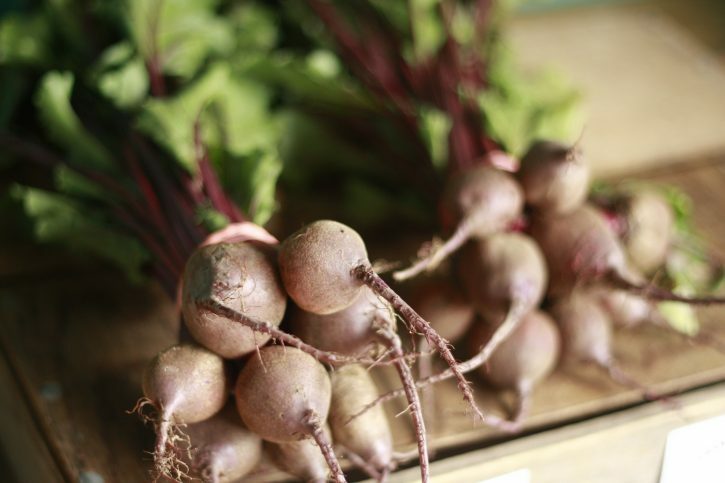 Looking for farm-fresh produce in the city? Look no further than our booth at the Union Square Farmers Market in Somerville. On Saturdays in the summer and in the early fall, we sell a selection of our sustainably grown veggies (and flowers!). 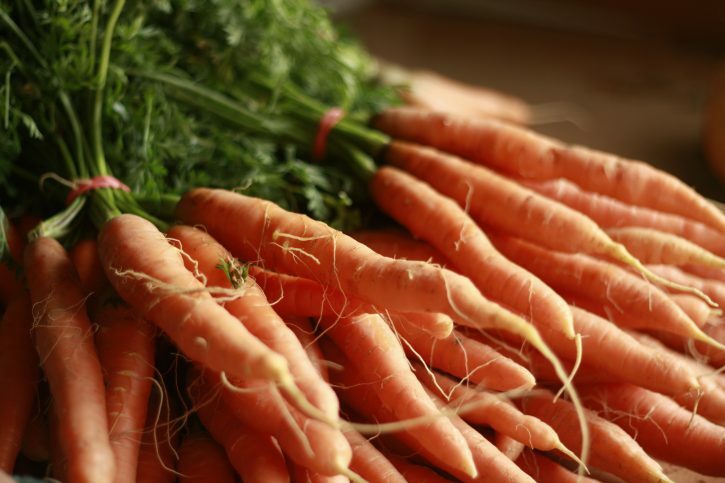 Right now you’ll find sweet corn, fava beans, lettuce, cut greens, radish, Swiss chard, beets, carrots, cabbage, summer squash, peppers, potatoes, onions, scallions, herbs (cilantro, dill, basil, parsley, mint, lavender, lemon balm), and the last of the season’s peas (snow and shell). You can also grab fresh-cut flowers to create a vibrant table arrangement or bouquet. (Or, use them to add color to a dish—we’ve learned from our restaurant partners that many of our flowers are also edible!) Favorites include snapdragons, strawflower, sunflowers, yarrow, and celosia, among others. 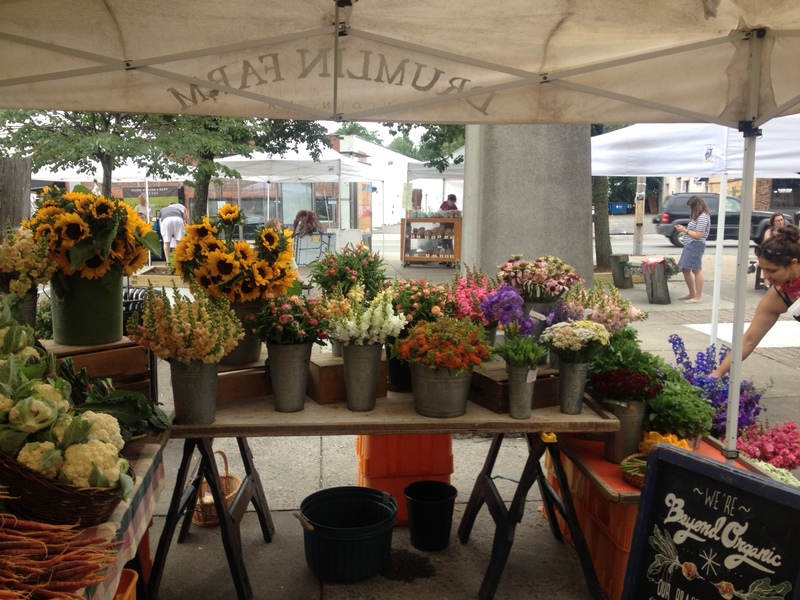 New this year: Our booth at the Watertown Farmers Market at Arsenal on the Charles, Thursdays from 2–6 pm. Stop by and check out our new digs! Can’t get enough farm-fresh goodness? We can’t say we blame you. 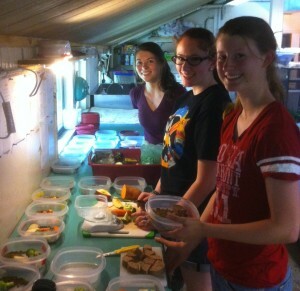 Learn more about our CSA program, farmstand and restaurant partners, and food and farm programs. 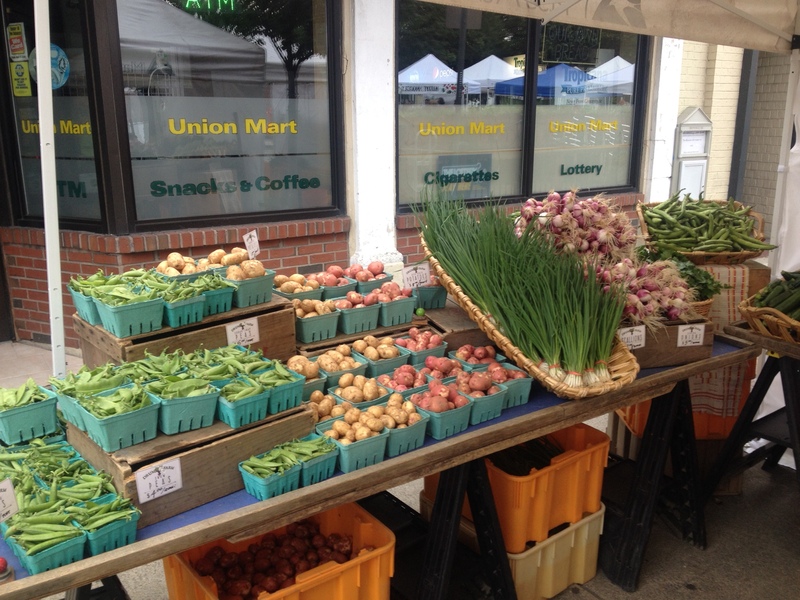 This entry was posted in Farming and tagged farmers market, flowers, produce, somerville, veggies, watertown on July 10, 2015 by Heather. 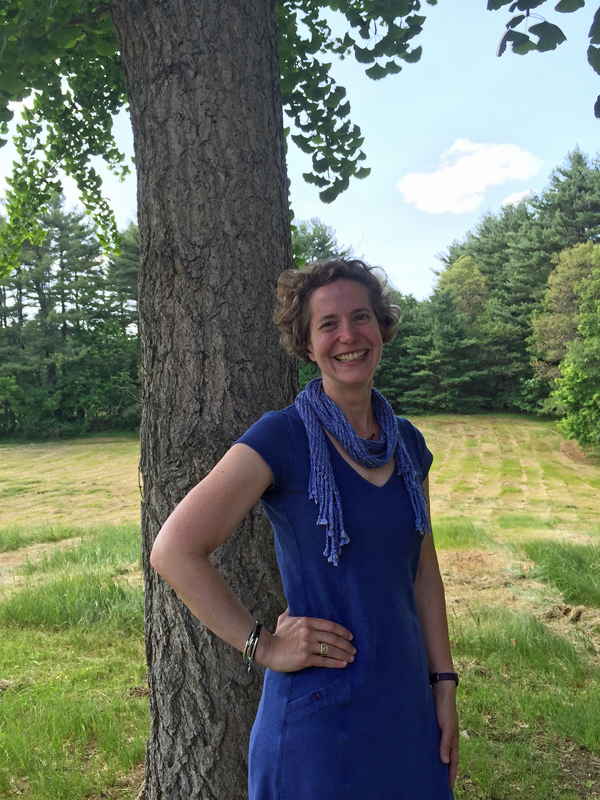 Introducing Drumlin Farm’s New Sanctuary Director! 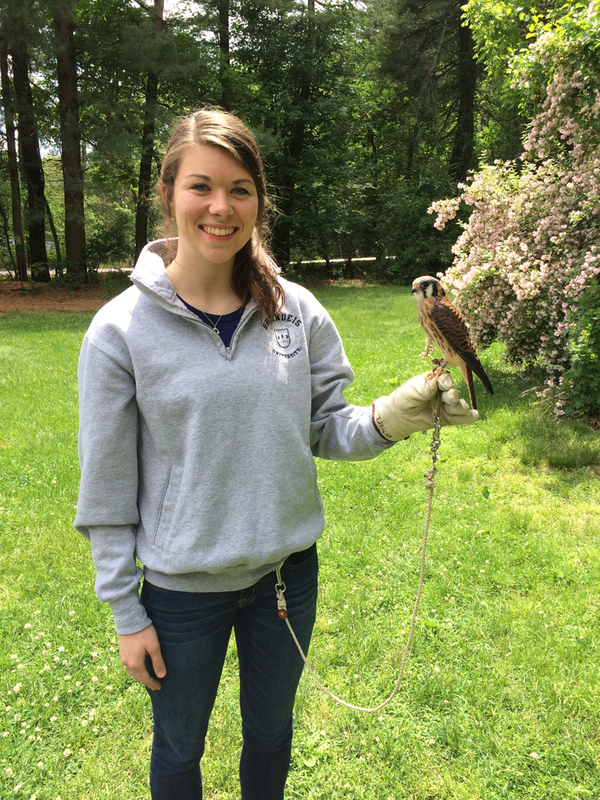 How does a physics major turned management consultant end up at a working farm and wildlife sanctuary? For me, the journey was a gradual series of life moments ending with a big leap. Why is that star in a different place than last night? What makes the river run faster in this spot? How can I tell which animals live here? Why is the landscape different as we hike to higher altitude? Science was all around us, with opportunities to observe, hypothesize, test, and discover at every turn, and I was lucky enough to have parents who encouraged our questions and gave us time outside to search for the answers. That thirst to make sense of the world through a scientific lens led me to MIT, where the Charles River served as a temporary outdoor playground to sail on, row over, and run along when life in the academic world seemed too overbearing. I never felt entirely at home in the lab, preferring to find the spaces in between the disciplines—how a theoretical concept could be adapted for human use, or how the technical aspects of a system could combine to form a whole greater than the sum of its parts. I came to realize that the world needs people who are able to integrate disparate pieces of information into effective systems, ones that can bring different information and perspectives together for the benefit of all. After grad school, my work as a management consultant allowed me to help companies develop business strategies that integrated the best of their technical and organizational capabilities with market needs. And yet I still felt the pull of the outdoors. During out-of-town assignments, I would take time in the evenings to explore the parks beyond the walls of my hotel; at home on the weekends, my husband and I would go mountain biking on our favorite singletrack trails and organize summer trips to national parks. When our two boys came along, I found the times I enjoyed most with them were spent outside, sharing the experiences of my youth and watching them take their own first steps towards curiosity and exploration. The time was right for a major change, and after much soul searching, I decided that science education for children seemed like the perfect way to combine my scientific background with my love of the outdoors. I stumbled upon a job posting for part-time Teacher Naturalists at Drumlin Farm, and when I took a walk around the property after my first interview, it looked exactly like I remembered from my own childhood visits. I had found my way home. 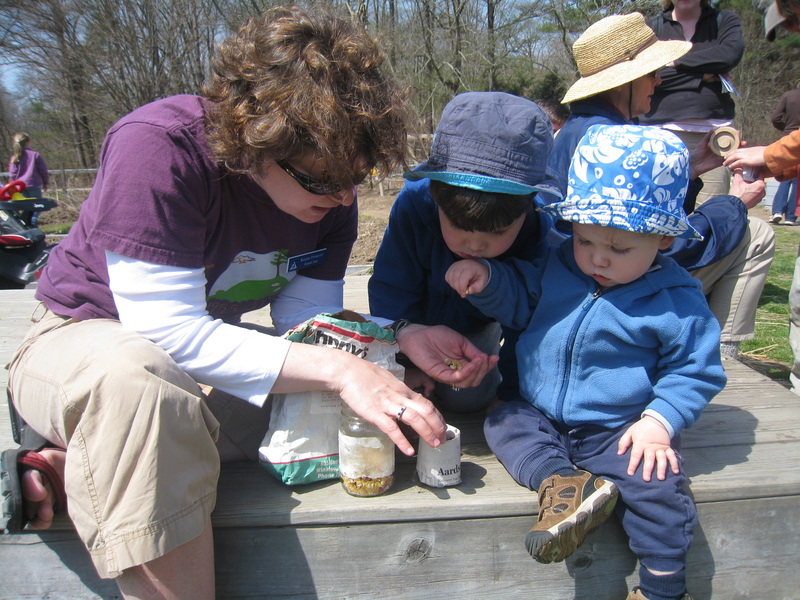 Eight years later, the joy of being outside and sharing my curiosity about nature with our visitors and program participants is still the highlight of each day. In my most recent role as Program Innovation Coordinator, the most satisfying moments have come when we were able to leverage tools not commonly seen at a nature center—smartphones, engineering challenges, and even LEGO bricks—to engage and educate in new ways. As Sanctuary Director, I plan to look for the spaces in between the disciplines—in our case, the ways in which farm, nature, and people interconnect—so that Drumlin Farm can continue to be a place where children and adults are inspired to explore, discover, and think about the world in new ways. Encouraging scientific thinking and using our sanctuary as a living laboratory to develop deeper understanding of sustainability, climate change, and ecological issues will be a high priority. I also look forward to working with our talented staff to grow our commitment to diversity and accessibility as well as our ability to serve as a model for sustainable agriculture and ecological management. Alongside this is a desire to maintain what lies at the heart of Drumlin Farm’s enduring success: the place, the programs, and the people. I look forward to hearing reflections, questions, and ideas from the Drumlin Farm community about how we can continue to improve. Please feel free to reach out to me at any time to share your thoughts by email or phone (781-259-2201). 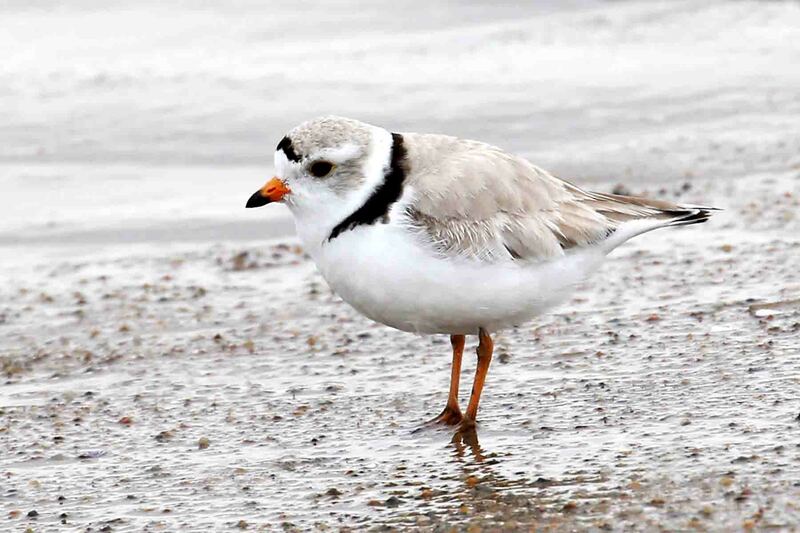 Thank you for your continued support in making Drumlin Farm Wildlife Sanctuary a special place for us all! 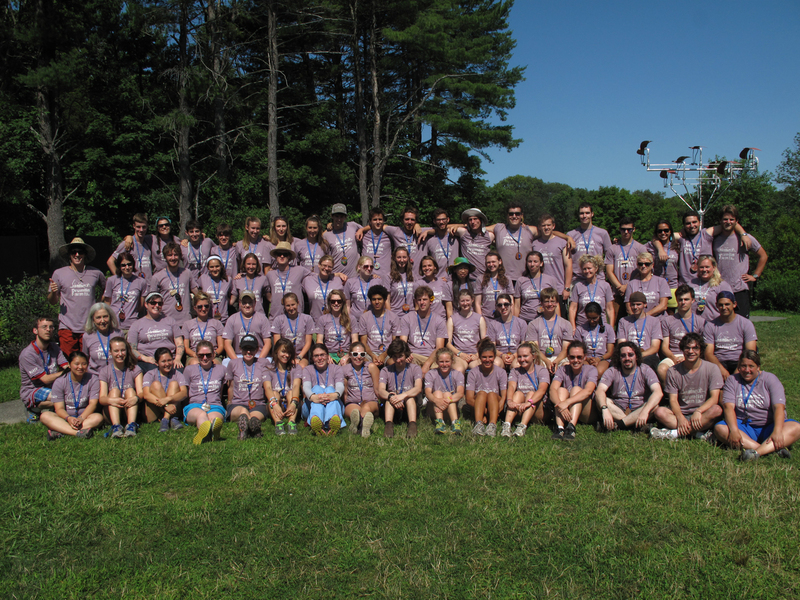 Along with lifelong farmers and educators, Drumlin Farm’s staff includes a variety transplants from other career paths, including engineering, veterinary medicine, music, sales, entrepreneurial ventures, and even podiatry! 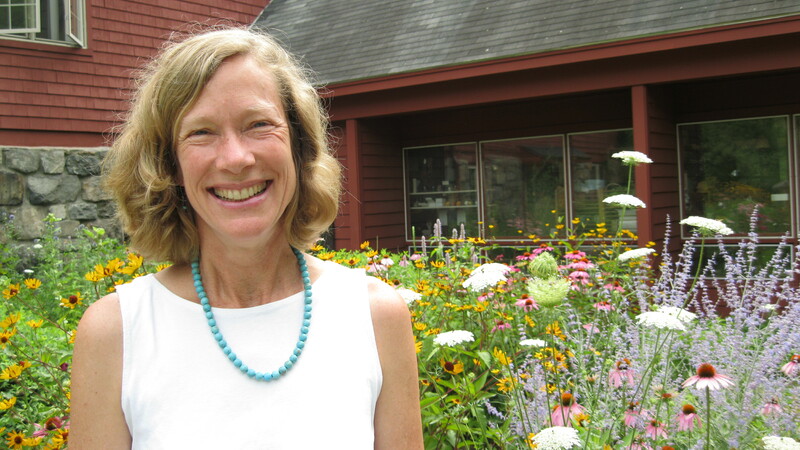 Our “Meet the Staff” series will explore the many ways that the people who work at Drumlin Farm found themselves drawn to common goals of environmental education, sustainable farming, and conservation. This entry was posted in News, Uncategorized on July 10, 2015 by Heather.